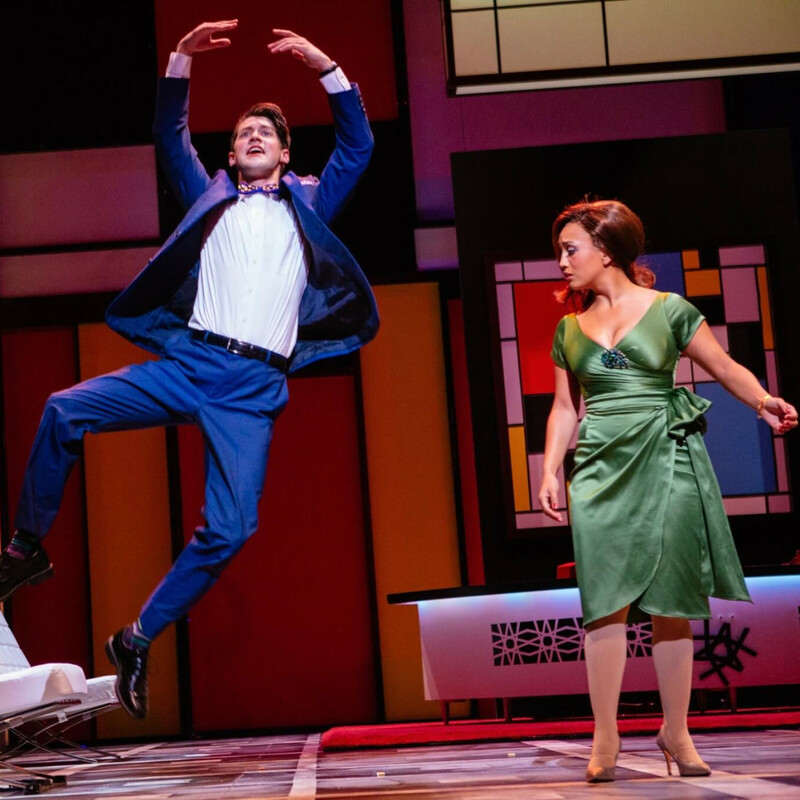 In what is perhaps either the most unfortunate or most brilliant coincidental scheduling in Theatre Under the Stars history, their new production of How to Succeed in Business Without Really Trying will end its two weeks run two days before election day. If comedy is all in the timing, how audiences feel about the societal issues that came boiling to the surface this presidential season might indicate whether we’ll laugh or cry when faced with this Business filled with two-and-a-half hours of corporate backstabbing, institutional sexual harassment and lazy mediocracy reigning supreme. 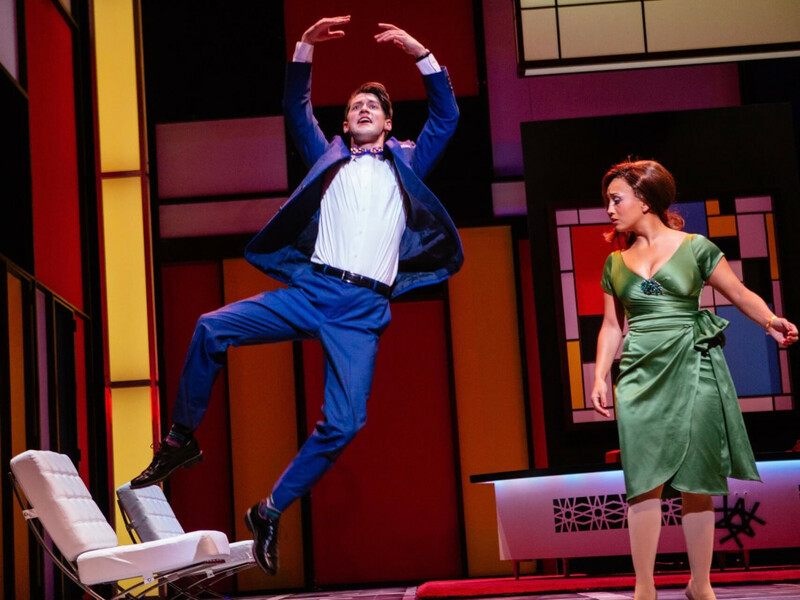 With music and lyrics by Frank Loesser and book by Abe Burrows, Jack Weinstock and Willie Gilbert, How to Succeed in Business made its Broadway debut in 1961 and thanks to biting yet hummable songs and some strong comic bits the show has been revived pretty regularly since then. 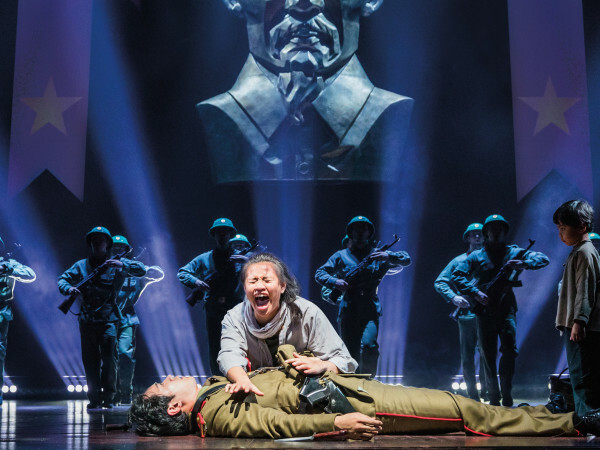 Its last notable Broadway incarnation in 2011 starred Harry Potter himself, Daniel Radcliffe. 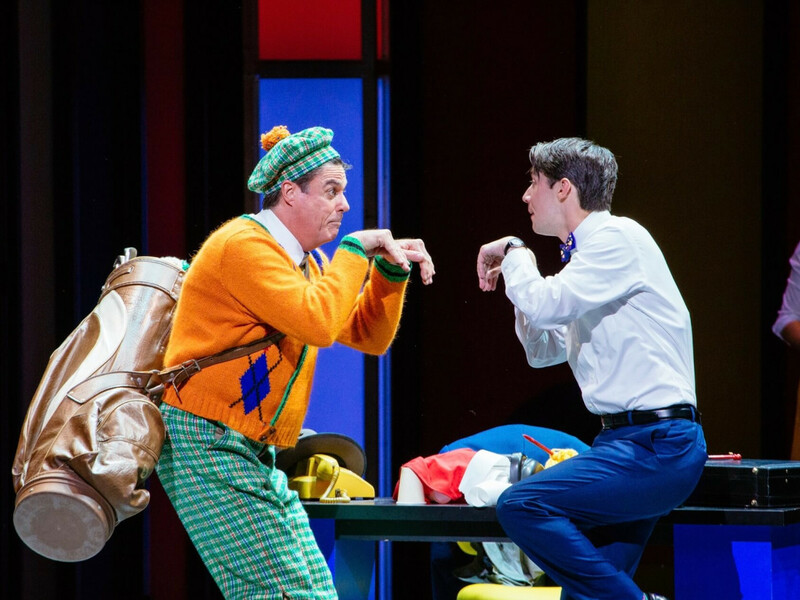 The classic hero’s journey – a humble boy makes good – takes a satirical twisty turn in this show. Armed only with smiling guile and an almost-magical self-help book, lowly J. Pierrepont Finch (Chris Dwan) rises from window washer to CEO of the World Wide Wicket Company. With a boy-next-door face, Dwan plays Finch not so much as corn-fed as high fructose corn syrup-fed, slightly manic in his winning combo of ambition camouflaged in niceness. Carried away by Dwan’s strong voice and the character’s winning ways, we begin to root for Finch as he methodically charms his way up the corporate ladder, grinding the hands of lesser men, along with one woman’s heart, as he climbs over them. 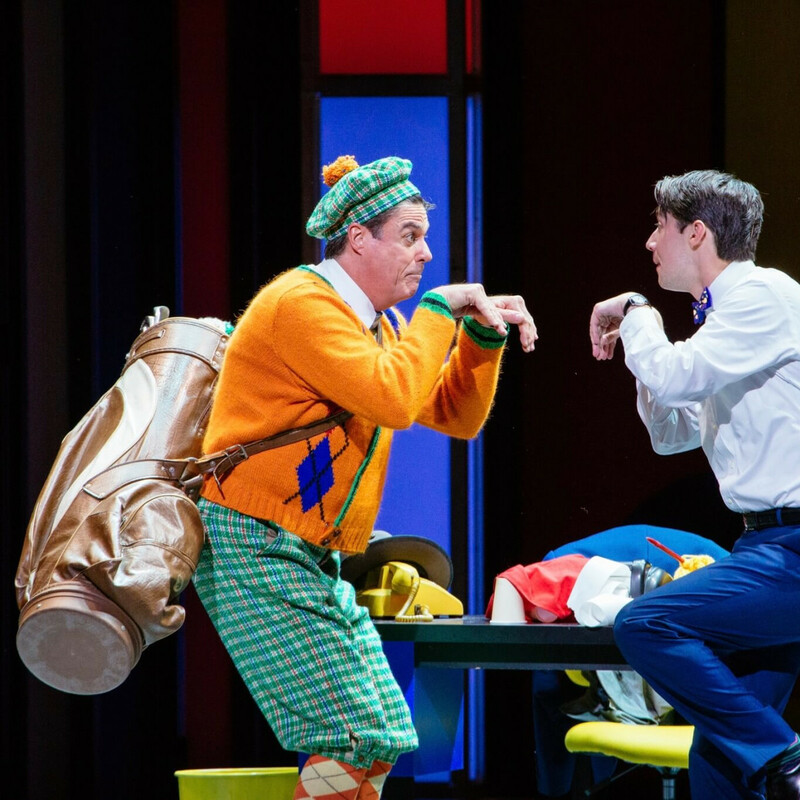 Finch’s only real obstacle in his race to the top comes from his nemesis and the company president’s nephew, Bud Frump (Joshua Morgan). 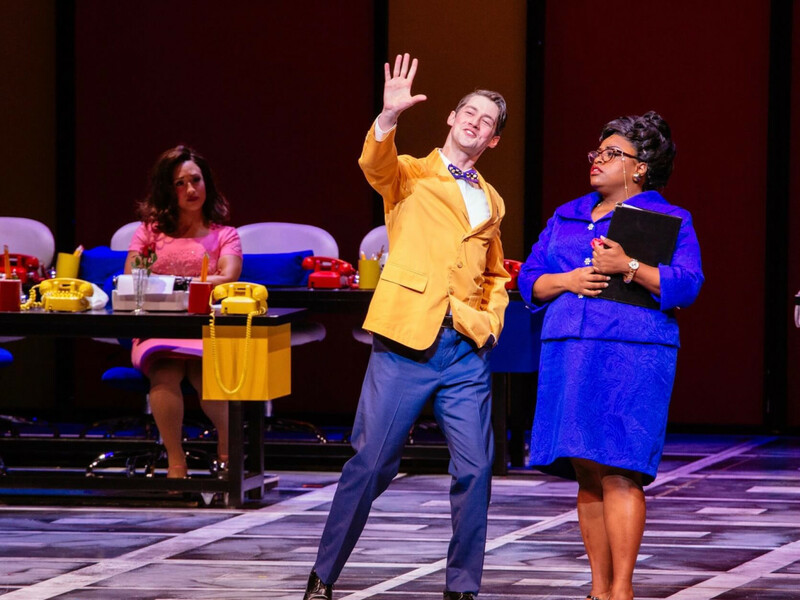 Finch is no better or nobler than Frump, and neither man seems to do any real work at the company once they leave the mailroom, so the only reason one is the hero and other the villain in this piece might be because Frump is less cunning and, as played by Morgan, much more comically whiny. Finch’s love interest, his secretary Rosemary Pilkington (Ashley Blanchet), also becomes his biggest supporter, while an army of female assistants, doing the actual work of the company, help Finch along the way. And it's these scenes with the women in particular when what was probably light satire in the 60s becomes almost so sharp its painful in 2016. 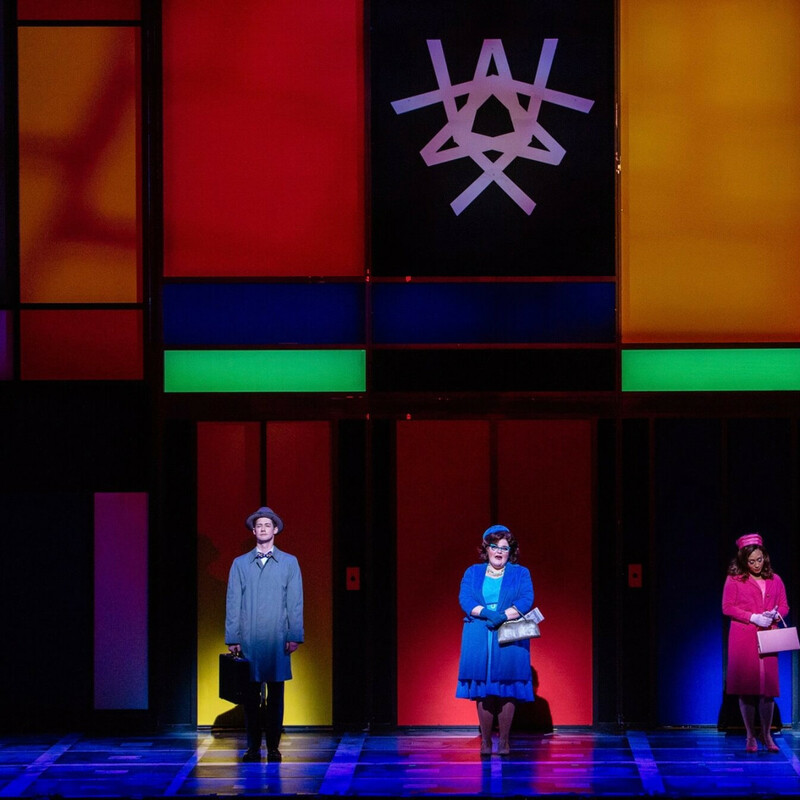 The only competent professionals we see in the entire World Wide Wicket company are the two middle-aged executive secretaries, Smitty (Ryann Redmond) and Jones (Allyson Kaye Daniel). Both actresses manage to steal quite a few scenes as their characters keep the wheels of the company turning while their many male bosses spend their days jockeying for promotion. Those bosses do take breaks from backstabbing for some recreational sexual-harassment. 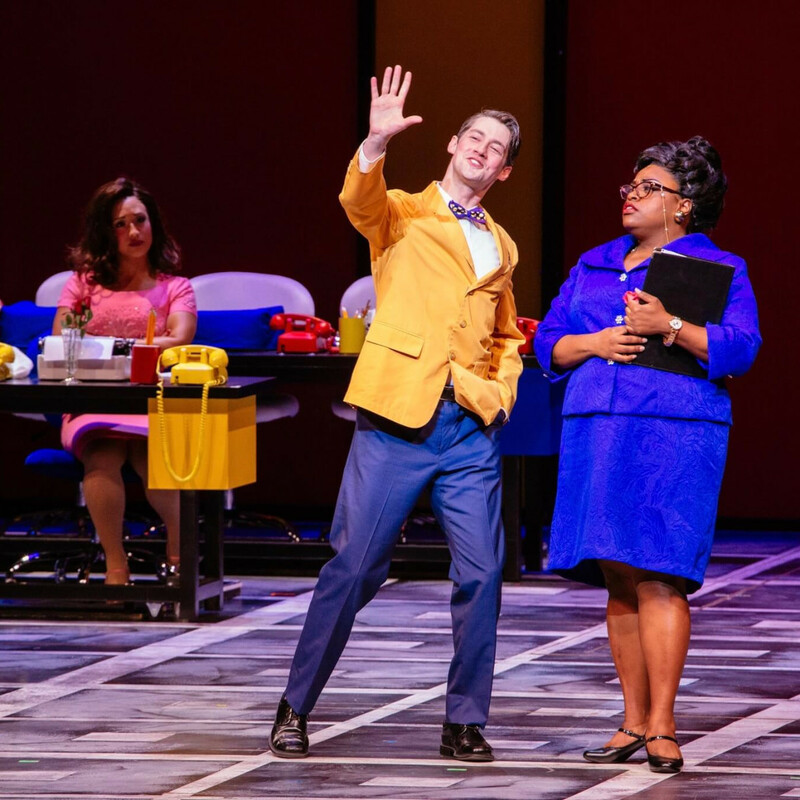 How to Succeed in Business even gives an entire number, “A Secretary Is Not a Toy,” on the intricate etiquette of groping female subordinates. 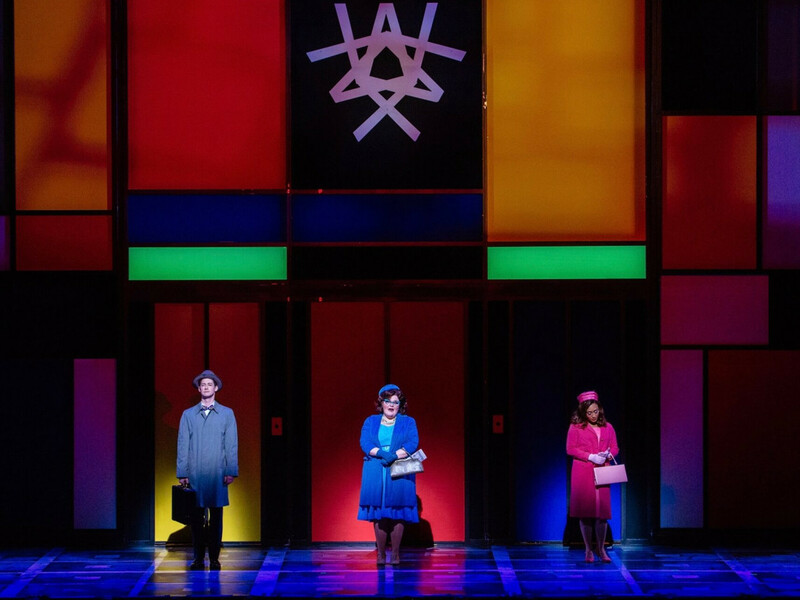 Dan Knechtges who does double duty admirably as director and choreographer manages to keep the scenes that might induce wincing at the women’s status in this world balanced with breaks for high silliness. 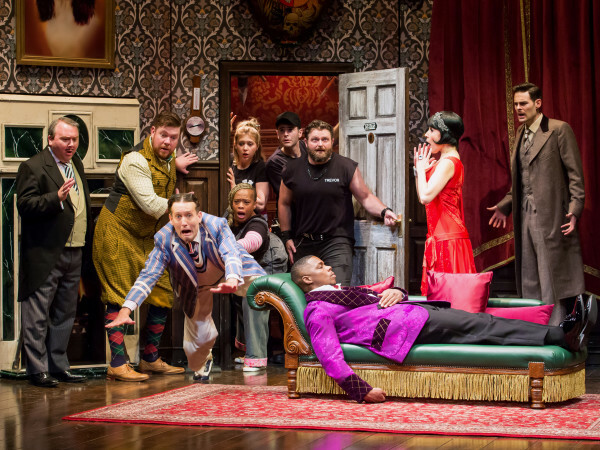 The early number “Coffee Break” where workers become dancing zombies when the coffee runs out is particularly sly, while “Grand Old Ivy” Finch’s attempt to win over company president Jasper B. Biggley (Stuart Marland) with his rendition of Biggley’s old college fight song is utterly ridiculous and one of the funniest scenes of the show. How to Succeed in Business is also just gorgeous to behold. 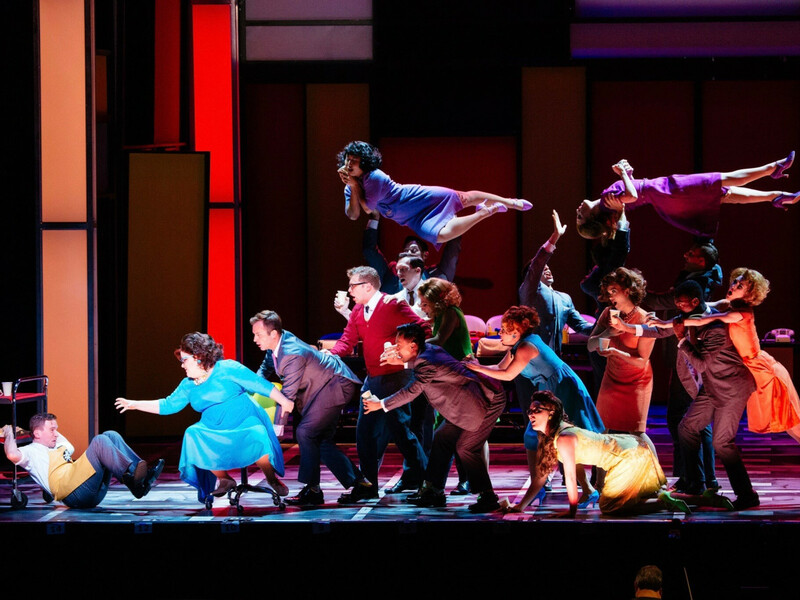 Costume designer Rose Pederson’s executive grey suits contrasted with the secretaries' boldly colored dresses is startling as the whole cast runs and dances around in a giant Piet Mondrain painting of a set created by scenic designers Tom Sturge and David Summer. I’m not revealing spoilers to tell that Business ends happily, as a '60s musical comedy, of course it does, but after the laughs and applause die away and we spend even a few minutes thinking of all that Finch has accomplished through no merit of his own and what a horrible person he really is, we might be left more than a bit unsettled as to where his ever soaring ambition might lead him next. 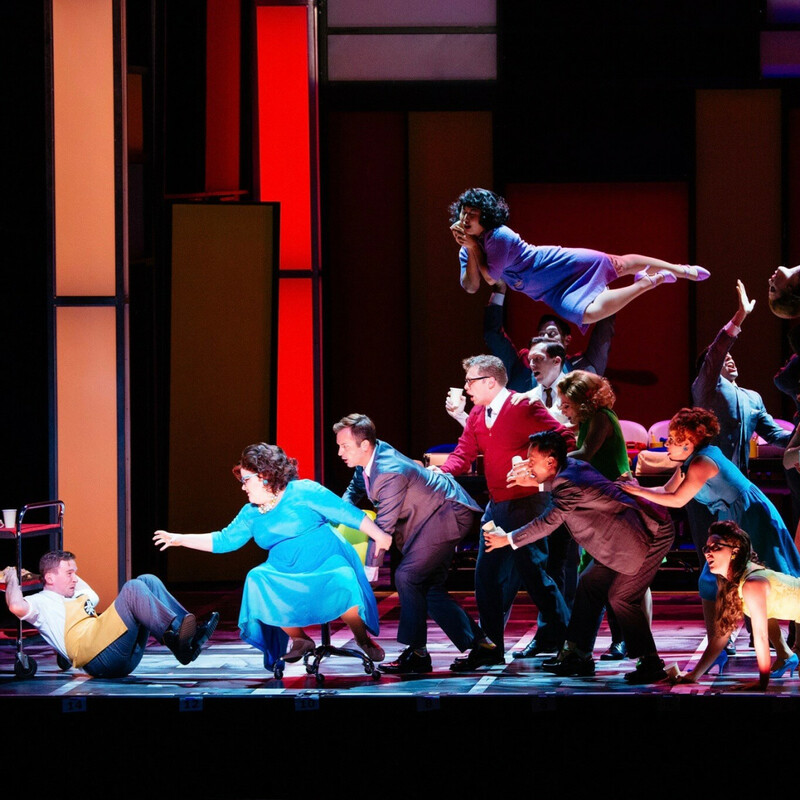 How to Succeed in Business Without Really Trying runs through November 6 at the Hobby Center.